Apple announces iOS 12 beta for registered developers at WWDC 2018 and is now available for download for iPhone, iPad and iPod touch. The iOS 12 beta comes with many bug fixes and improvements. Besides that Apple has added many new features in iOS 12 like Group Facetime, Memoji, new AR features, Photos improvement, group notifications, improved Siri, Measure app, updated stock app and more. 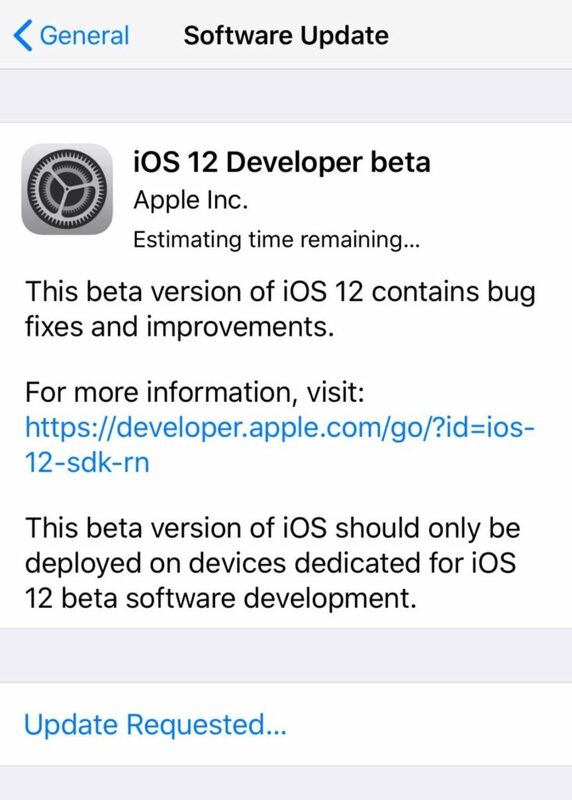 The iOS 12 developer beta is currently available for download registered developer only. The registered developer can install this beta from the developer account or can directly update via OTA mechanism if they have already installed the previous beta from Settings >> General >> Software Update. But is it possible to get the developer beta of iOS 12 even without developer account? Of Course Yes! You can easily install iOS 12 beta profile on your iPhone, iPad and iPod Touch without Developer Account or Computer but we don’t recommend and try it at your own risk. Simply follow this below steps how you can update to iOS 12 right from your iPhone or iPad. For this, you don’t need developer account or any computer and it’s super easy. Step 6: Seat back and relax for sometimes until it completes downloading. Next Tap on install to get iOS 12 on your iPhone or iPad. That’s it. You have now iOS 12 beta installed on your iPhone/iPad without a developer account. 86 Hidden Features of iOS 12 that Apple didn’t talked about! Do not install iOS 12!